Seeing between the lines. The film Whose Fitzrovia? 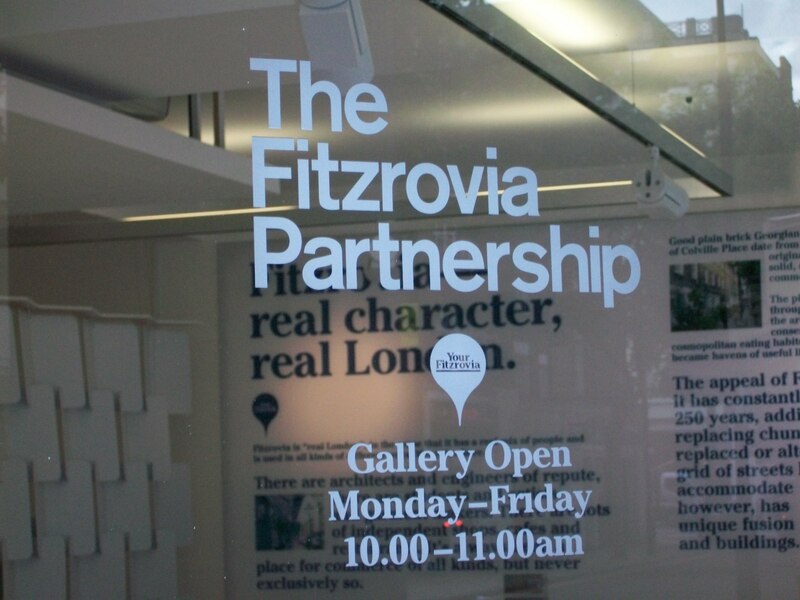 takes a critical look at the Fitzrovia Partnership. The film argues that the Fitzrovia Partnership wants to give Fitzrovia an identity as a destination of choice for visitors and businesses and increase the footfall on the streets and increase the amount of cafes and restaurants. The film compares Fitzrovia to Camden Town, and Holborn and parts of the West End where BIDs already operate. Camden Council have confirmed that the Fitzrovia Partnership wishes to become a business improvement district (BID). A BID is a public-private partnership between the local authority and business. BIDs are funded by a levy on the business rate charged by the local authority and the money is used to make specific environmental “improvements”. The levy is charged only to those businesses over a certain rateable value. The threshold for charging is agreed between the BID sponsor and the local authority. For example, InHolbon BID, which began operating in an expanded area from 1 April 2010, is funded by businesses with a rateable value above £60,000. Camden Unlimited BID which covers the central Camden Town area set the levy threshold at £40,000. A BID can only be created after a ballot of businesses who would be subject to the levy is held by the local authority. Votes are apportioned according to the size of the business. The larger the business the greater number of votes they can cast for or against the BID levy. Critics of BIDs say this will not be good for local residents. Businesses will want something in return for their money and the BID is supposed to be cost negative, with businesses gaining greater income once a BID is running. The extra income comes from greater numbers of shoppers, diners, pub-goers, and tourists. Tourism is an important factor in the success of a BID. Small businesses won’t have to pay towards the BID. They may benefit in the short-term, but in the long run they will be priced out by increasing rents as BIDs tend to improve the land value of retail premises due to the increased customer flow. Small individual businesses are likely to be priced out in favour of “the multiples” who can afford the higher rents. High-Street names will dominate any BID, say critics. Whose Fitzrovia? observes that Store Street in Fitzrovia has already seen an exodus of much-loved small businesses after the Bedford Estate hiked the rents up. Store Street is on the edge of the InHolborn BID. City of London also own a large number of empty properties along Store Street as well as other property in Fitzrovia. City of London recently became board members of the Fitzrovia Partnership. The Film argues that more people will mean more eaters, drinkers, petty crime and nuisance to residents. The point of the private security and extra street rangers that the Fitzrovia Partnership wish to employ is to try to offset the increase in crime and nuisance that will inevitably be created by a enlarged central London entertainment area and a trend to towards 24-hour licensing. The increased retail activity will also stimulate “unofficial” economic activity. Residents in Camden Town are complaining about the increase in disturbances. Camden Town Unlimited is a BID already. If a Fitzrovia Partnership BID goes ahead, Camden Council will not stick up for the residents because they are charging the businesses a levy on their business rates so the businesses want something in return. Camden will be under pressure to grant more retail use and increased licensing hours in Fitzrovia. The film questions why Derwent London are backing the Fitzrovia Partnership, when Derwent say they are not retail developers. The film argues that Derwent London will benefit from the increase in revenue from their property. The money they invest in promoting the BID will be reaped in years to come by real estate income. There is no obligation under the BID rules for Camden Council to consult the residents. The BID ballot is for businesses who will be liable for the BID levy. Once a BID is approved by a ballot the BID will seek to maximise income for the businesses who will pay the levy by promoting Fitzrovia as a destination and entertainment centre. Gary Reeves of GJR Consulting is company secretary of the Fitzrovia Partnership. He was previously chief executive of the New West End Company BID, and he is also a consultant to InHolborn BID.